We break our legs when we ski because skiing, at its core, is a highly unusual human activity. It asks the body to do things for which it was never designed. Millions of years of evolution have left the human knee a wonder of engineering. We can run on it, dance on it, jump on it – as long as it happens forwards and back. It is the world’s most efficient hinge, operating perfectly, year after year, in one dimension. It can do nothing sideways, nor can it absorb any major force from either the inside or outside of the structure. When this occurs the leg simply breaks. Skiing is weird because it gets the human body, the human posture, into a position that is impossible when standing still or running. 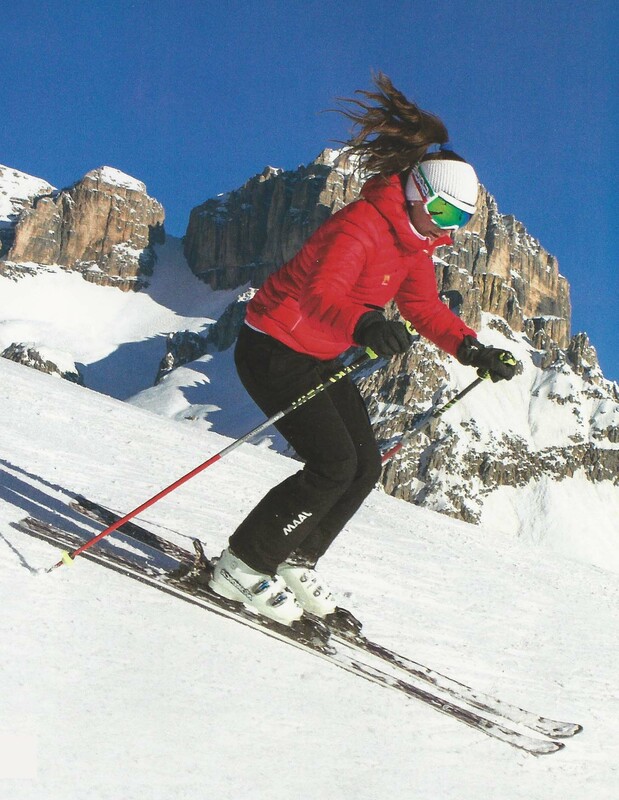 Skiing utilises gravity, kinetic energy, mass and momentum to enable a skier to get into, and hold, a position that would be impossible standing still. Look at these photographs. The skier above, is in the neutral position between two turns. Her shoulders, hips and knees are all in the same plane facing straight downhill. Her weight is being borne equally in both feet and knees with the majority of her weight being carried by the inside of both tibial plateaus in her knees. Her posture is uncontorted and relaxed. She is not asking her body to do anything too onerous and there are no external varus (bow legged) or valgus (knock kneed) forces being applied to her knees. She is unlikely to be injured in this position. Now look at the skier on the right. 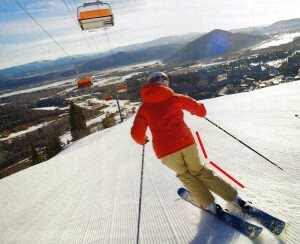 She is skiing on The Echo Run below the Orange Bubble Express chairlift at the Canyons, Park City in Utah. This is a green/blue groomer which I’ve nonchalantly skiied many times. No danger here, right? Wrong! While this is a gentle slope it is similar to Big Emmas at Snowbird in Utah where my daughter fractured her tibial plateau in 2013 and the green run at Revelstoke where I broke my leg in 2015. The steepness of the slope has no bearing on whether you will break your leg – its the kinetic energy received while in an exaggerated posture which is critical. The skiier here is initiating a turn by transferring weight onto the inside edge of her right ski by bending her knee forward and inward. To counterbalance, she is shifting her right shoulder and upper torso back to the right over her right leg. This is the classic “c” shape to which we all aspire. She is, without knowing it, loading up the outside edge of the tibial plateau in her right knee. This particular piece of bone was never designed to take this sort of force. Interestingly, if you look at this photo, it appears that the weight on the right leg is being borne in an exaggerated fashion by the inside edge of the right knee. Not so. It’s the opposite side of the knee – the weak side- which is copping the aggravation. I hope she made it to the bottom for a beer at the Waldorf. Furniture in there is a bit dated but the fire is very welcoming and the staff like Australians. 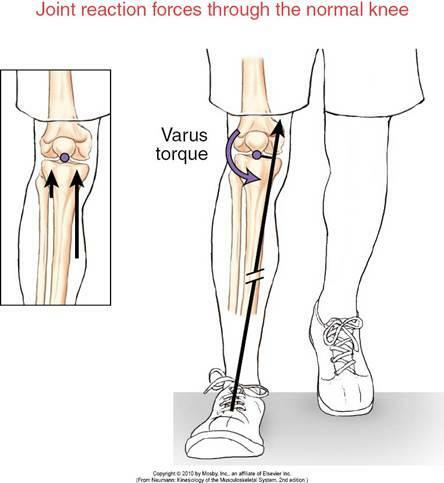 For an extreme example of loading up the outside edge of the tibial plateau – the weak edge- have a look at this photo. 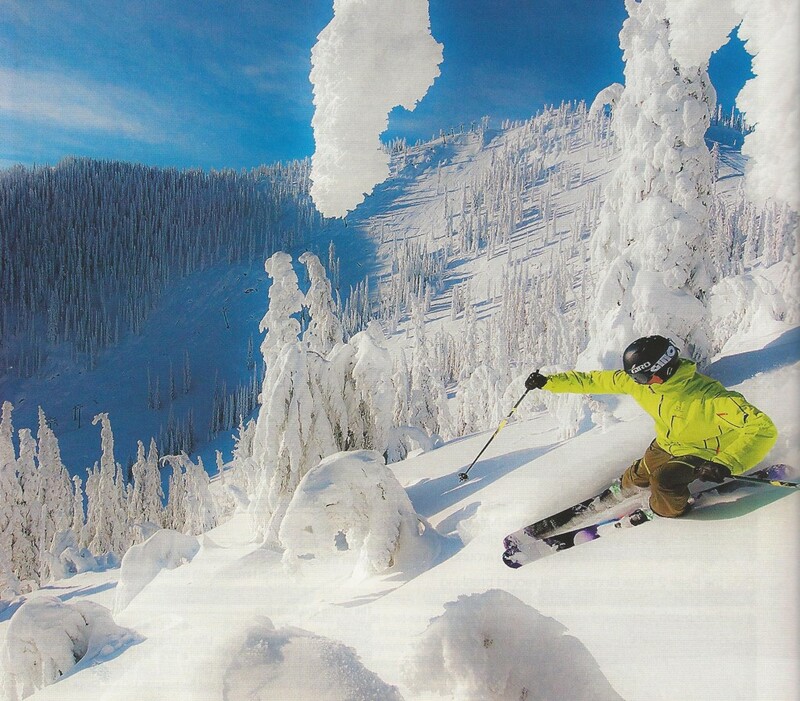 This skiier is enjoying a monster powder day at Red Mountain resort in BC, Canada. Check the lower ie right leg, it’s straight. Not only is the leg straight, meaning it has no capacity to absorb a sudden shock, the skier is applying a rotational force to the downhill ski so he can avoid the obstacle in front. His skies are actually travelling in two different directions. His head, right shoulder and right arm are counterbalancing by leaning – correctly – down hill. This leaves very little weight on the uphill ski. He has completely loaded up his right leg. Furthermore, his weight is not only on the outside of the downhill leg, the rotational force he’s applying to the ski tip to bring it around is loading up the weak side of his tibial plateau even further. This was exactly the posture I was in when I broke my leg. I skiied off a small cliff – one side of a hole – in this posture. 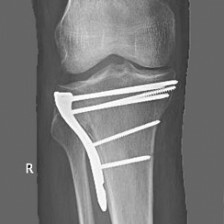 The right hand ski tip smashed into the opposite edge of the hole I’d gone into, my body kept going down hill and the kinetic force was too much for my tibial plateau which fractured. I double ejected out of both bindings and went head first over the front of the skies, into the snow knocking myself unconscious. Even though both bindings released, I still broke my right leg. If this skier hits one of those snow covered objects with his right leg, and the object turns out to be solid, I think he’ll break his leg too. Hope he doesn’t – it’s a real pain in the arse. Hope you made it mate. Looks like you are having a great day. Hope I get to do that again.